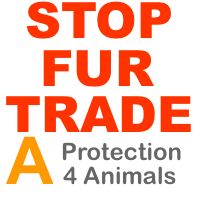 Protection 4 Animals - Worldwide | Protecting, Rescuing, Rehabilitation of all Animals and Conservation of Wildlife. Campaigning Against Animal Cruelty, Torture, Abuse, BloodSports and Hunting. Protection 4 Animals is all about taking a firm stand against all Animal Abuse and Cruelty, will be relentless in our fight against all those individual, groups and organisations, without exception that directly or indirectly take part, encourage, promote, benefit, profit and develop a demand for any form of any Animal Abuse, Cruelty, Pain, Suffering or Torture. We will continually question ourselves and others what can and needs to be done to banish ANIMAL CRUELTY; through being informed and educated to the wrongs being committed by Humans on Animals. Ignorance will be no excuse and Protection 4 Animals will pursue anyone directly or indirectly connected to any form of Animal Abuse in any way to stop Animal Cruelty. 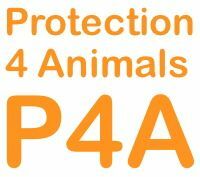 Protection 4 Animals (P4A) continues to recruit a Global Network of Volunteers, our aim is to have in place a P4A Global Network Volunteer (P4AGNV) as the P4A Network aims to have at least one Volunteer in every Town, in every Country or State and Country in the World. Speaking out against Cruelty to Animals, United in Numbers, with ONE Voice. Town by Town, City by City, Case by Case, Cause by Cause. We will stage some of the biggest and best events designed to draw attention to the cruel, hidden world ofanimal abuse. Protection 4 Animals, is as a ‘Movement‘ a shift in action and approach to bringing change to Animal Abuse Worldwide by recruiting as many Volunteers representing every country. These will be made up of individual Animal Lovers, Advocates Activists and creating alliances with existing groups.It is my firm belief and many others we are fundamentally losing the war against Animal Abuse. By working as individuals and in small groups, there lies the failure. All Cases, Causes and Campaigns need Attention, Action and Change (AAC). The P4AGNV will work as ONE MAJOR ‘Movement’ of individuals and groups focusing on ONE Cause at a time, as ONE VOICE, with the same Message; this will enable us to make, a much Louder Noise, Spreading the message further, making a Greater Impact and Place Far Greater Pressure, until the Fight is Won. Protection 4 Animals also has it’s own Sanctuary where it takes in mainly those Animals that the well funded and rich organisations are going to KILL. These Animal have been badly abused, beaten, raped, starved or old and these organisations decide they can not be homed so they should be KILLED. This is where Protection 4 Animals steps in and give these Animals a Safe and Free Environment to live out their natural lives. Protection 4 Animals has a NO-KILL Policy. Thank you again for your interest and support for Protection 4 Animals. Protection 4 Animals is Non-Funded, Voluntary and Independently Protecting, Rescuing, Rehabilitatng Animals and Conservation of Wildlife. Campaigning Against Animal Cruelty, Torture, Abuse, Blood Sports and Hunting particularly using horses, dogs and hounds to Hunt Deer, Foxes, Hares, Rabbits and Badgers. 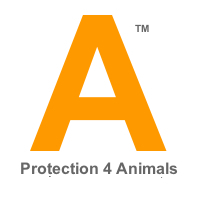 Protection 4 Animals Supports all individuals, organisations and all the people involved with helping and supporting Animals. We can only succeed and do the work we want to do if we have the klout to do so, and that means getting numbers of animal welfare supporters. We are not interested in collecting numbers on Twitter or Facebook for the sake of collecting numbers. We are only interest in people that have a genuine interest in helping Animals in what ever capacity they can.